Many have speculated the origin of its funny sounding name. Eight Miles….from what? Since the naming happened such a long time ago, no one can be 100% certain what that was. The strongest theory attributes its name to the longing distance that separates it from the One Mile Swamp in Woolloongabba. Now what exactly was so special about that place? No one knows for sure. But really, whatever lives eight miles beyond this suburb should not matter. 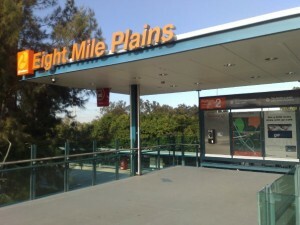 For Eight Mile Plains is a serene suburb and a delight to live in as well. It is true that the housing prices are slightly higher than average.Yet all that’s understandable once you realize the amount of peace and tranquillity that you’re paying for. Eight Mile Plains is a residential area perfect for couples, families or anybody who yearns to bathe in the warm company of loved ones. There isn’t much of a bustle or a flurry of activity happening in the local area, which makes it perfect for those who value a calm neighbourhood. The cost of accommodation is also reflected through the fresh-faced houses. Most are in very good condition due to recent remodelling and reconstructions. Aside from the typical parks and libraries, local attractions may be sparse but your everyday needs are guaranteed to be met. For example, the Eight Mile Plains Shopping Centre is a cosy marketplace offering medicinal stores, fresh food, takeaways, police station amongst many other things. Everything is congregated into one area, providing a one-stop shopping zone. 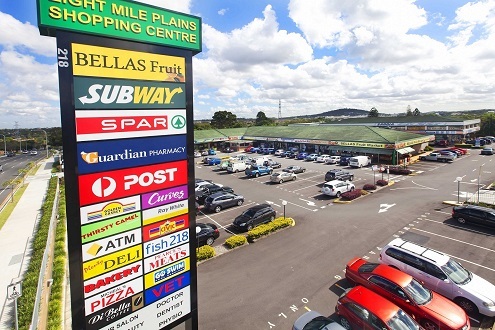 Granted it may get dull being able to only shop in one major place after a while, but the suburb’s proximity to others offers you the chance to do so much more. 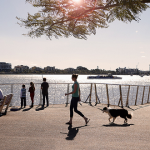 Those with a car can easily utilise the major roads or motorways that connect Eight Mile Plains to the City or even to Ipswich, Sunshine Coast and Gold Coast! So what are some other benefits? Well to begin, the moment you ease home from a hectic day, an aura of peace descends upon you. Apart from the chirps of nature and whispers of conversation, you are allowed to give your mind the opportunity to be finally alone with its thoughts. The humdrum of life here means that everyone who traverses this area would most likely be a local resident – a friendly neighbour. In other words, the area is filled with familiar faces making it a whole lot safer. That’s something which should reassure any parents who are worried about their children walking home from school alone. So choose Eight Mile Plains if you’re looking for serenity. And should you ever wish to experience that occasional buzz, travel eight miles in any direction – you’re bound to hit something interesting to do.